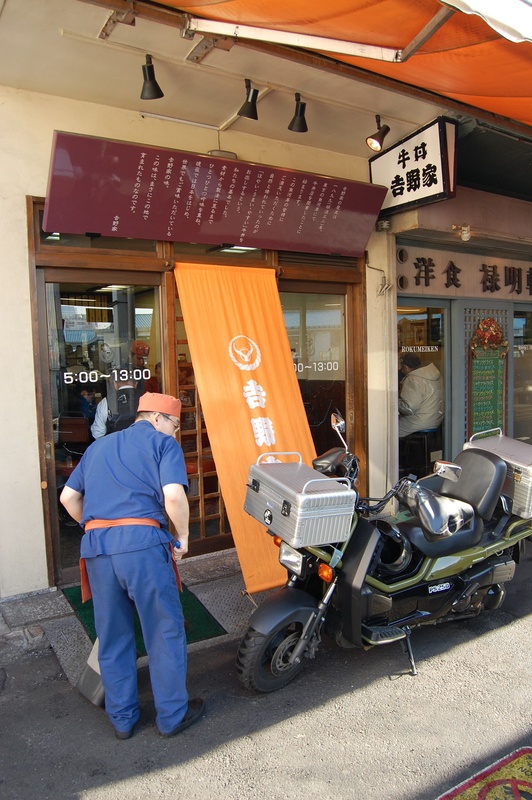 Yoshinoya is a popular fast-food chain famous for its gyudon, thin slices of beef cooked with onions and a sweet soy sauce are ladled over a bowl of rice. 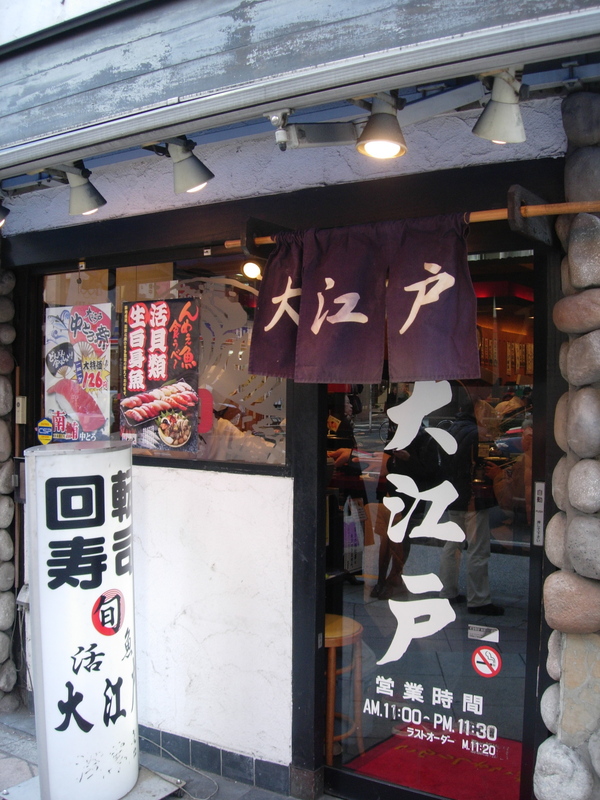 A branch of Yoshinoya is in New York City on 42nd Street. 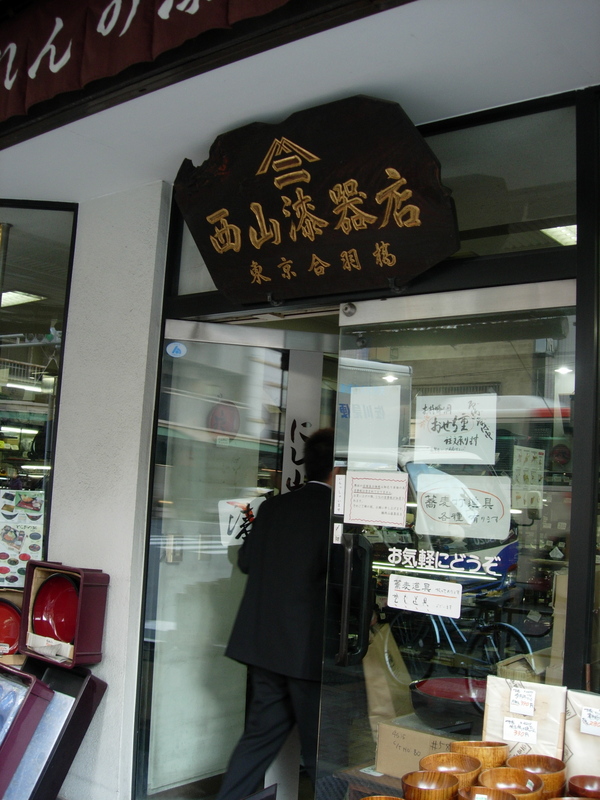 The first shop in the chain dates back to 1899 and was located near Nihonbashi. 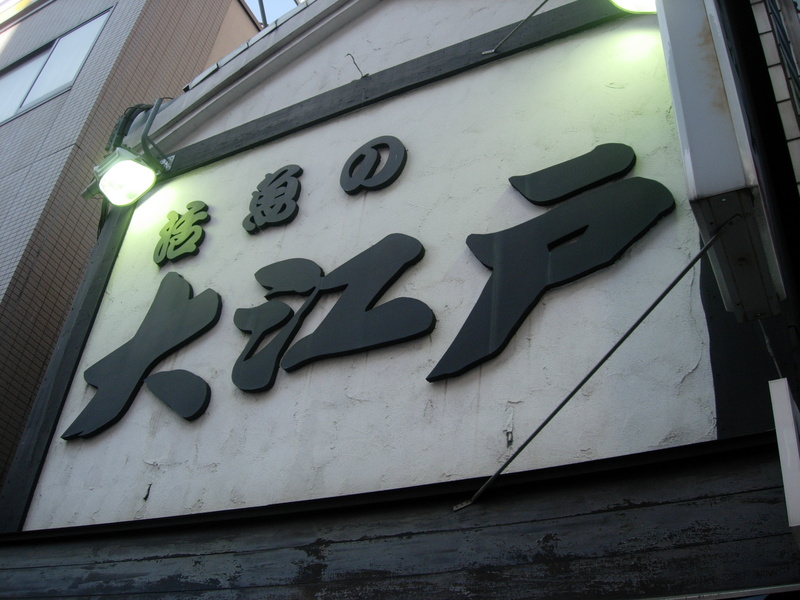 It moved here to Tsukiji with the move of the market. 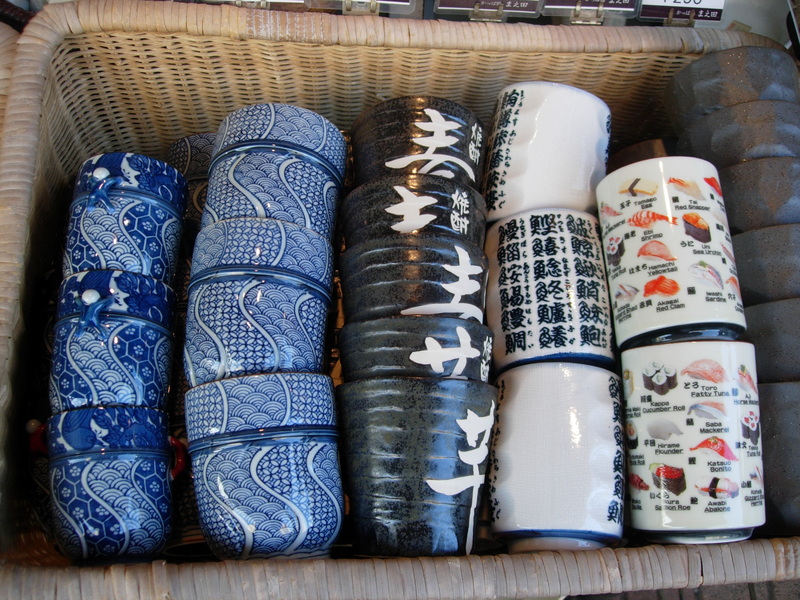 I love these shochu cups in the winter when I drink shochu with hot water. 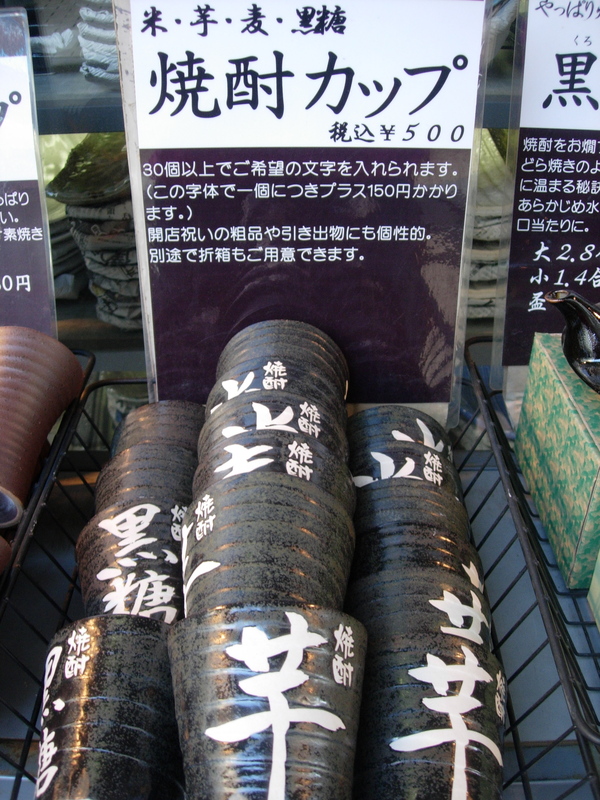 These have the type of base ingredient written on the cup 芋 for imo jochu (sweet potato shochu) or　黒糖 for kokuto jochu (brown sugar shochu). These teacups will get lots of use in any home. 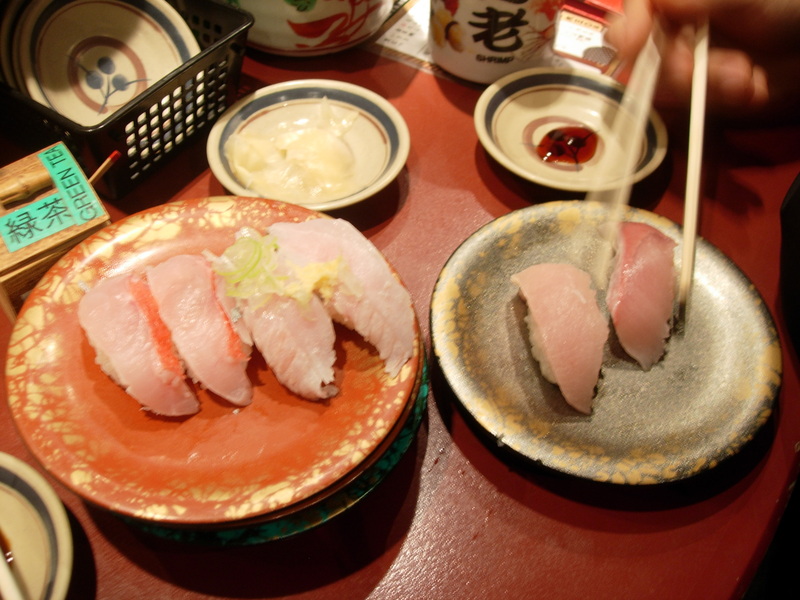 The cup on the far right has different types of sushi drawn on the cup. 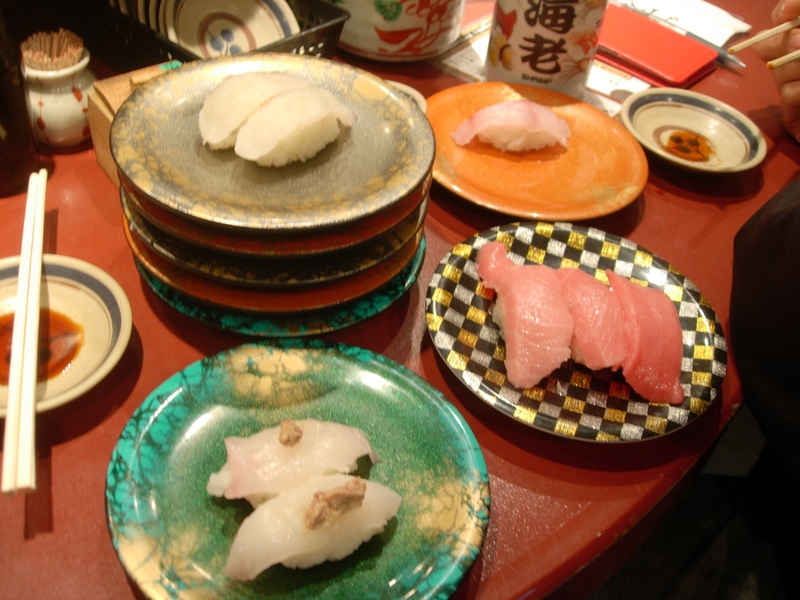 The second from the write, the white cup with blue calligraphy, has the popular types of fish written on it, as could be found at sushi restaurants. 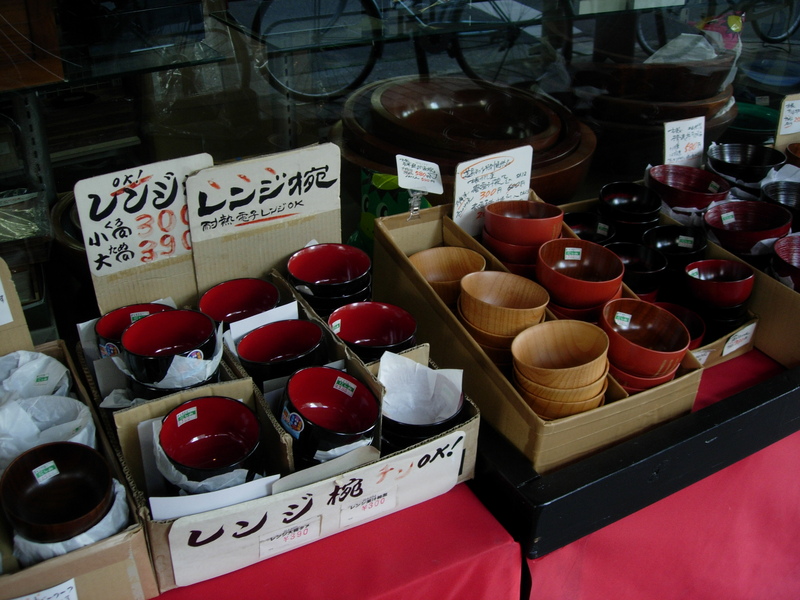 These lacquer bowls are most often used for miso soup but we also love them for serving ice cream. 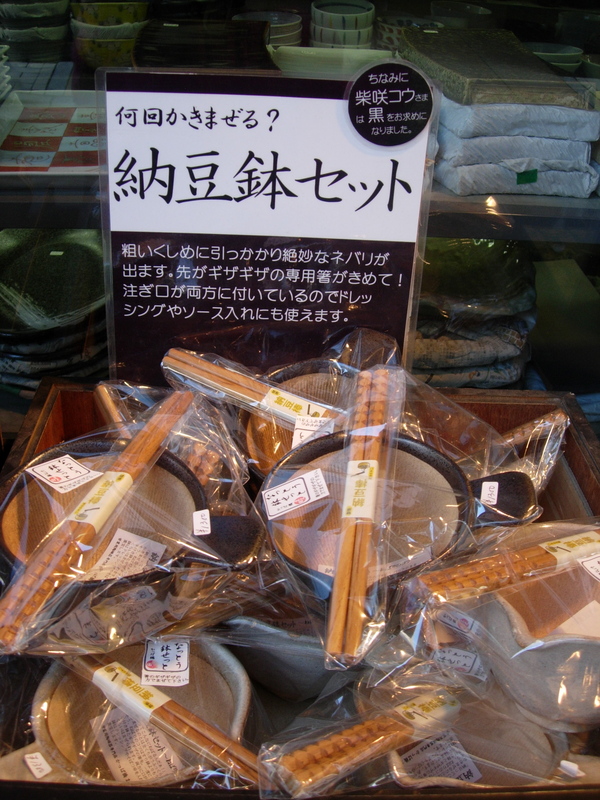 For natto (fermented soybean) lovers this bowl and chopsticks are indispensable. 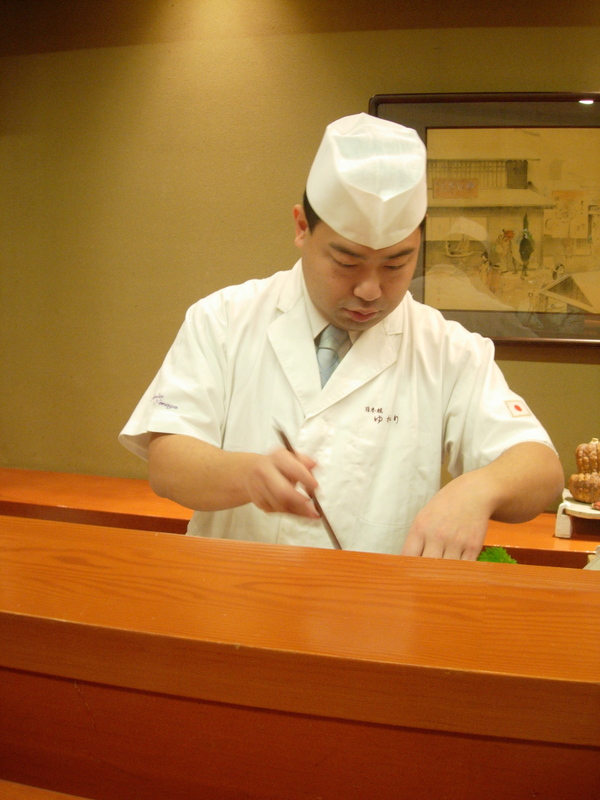 Natto is put into the bowl and stirred up with special chopsticks that bring out the slippery and slimy texture of the natto. 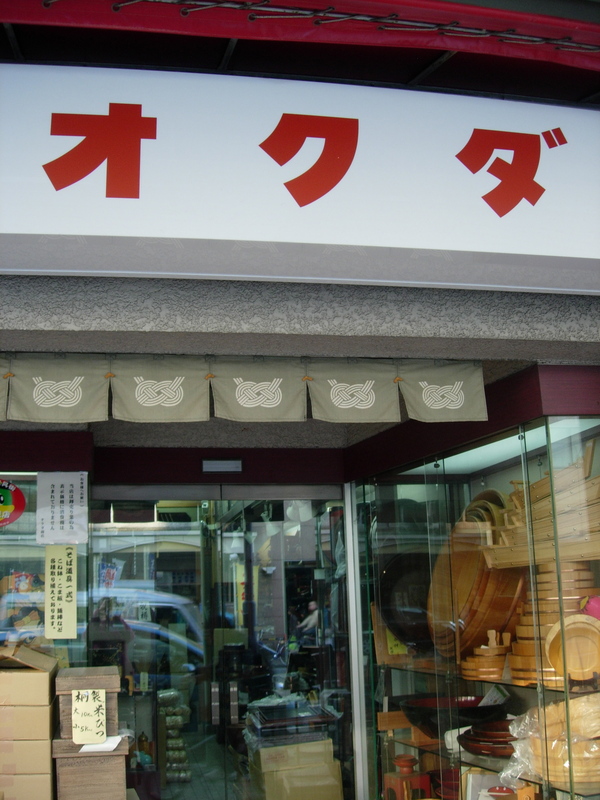 Kappabashi is filled with treasures, gadgets, and tools for anyone passionate about cooking. 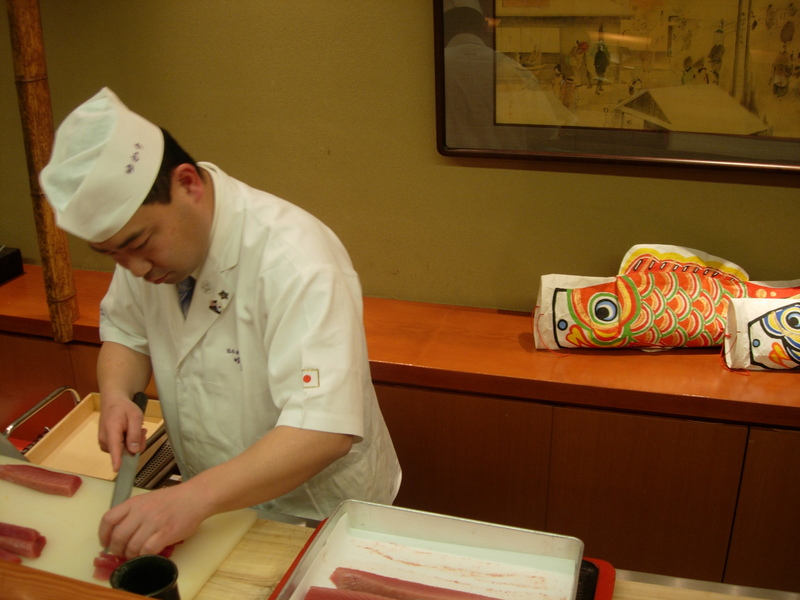 These refrigerator sushi magnets are always fun gifts. 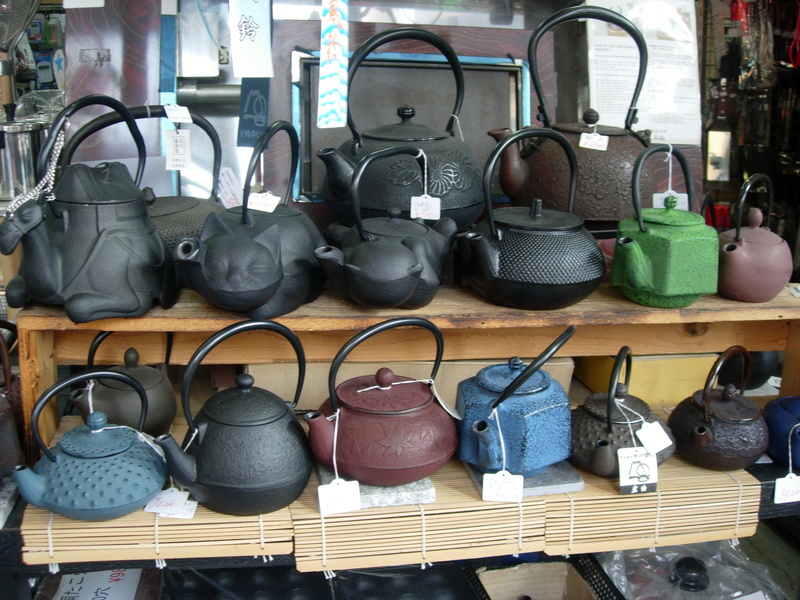 Iron tea pots are said to soften the water that result in tea that is round on the palate. These sturdy pots retain heat and are gorgeous on any table. 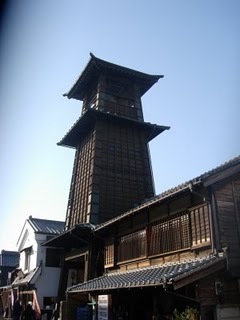 Some do rust easily so they are a little bit high maintenance but worth it for anyone who drinks a lot of tea. 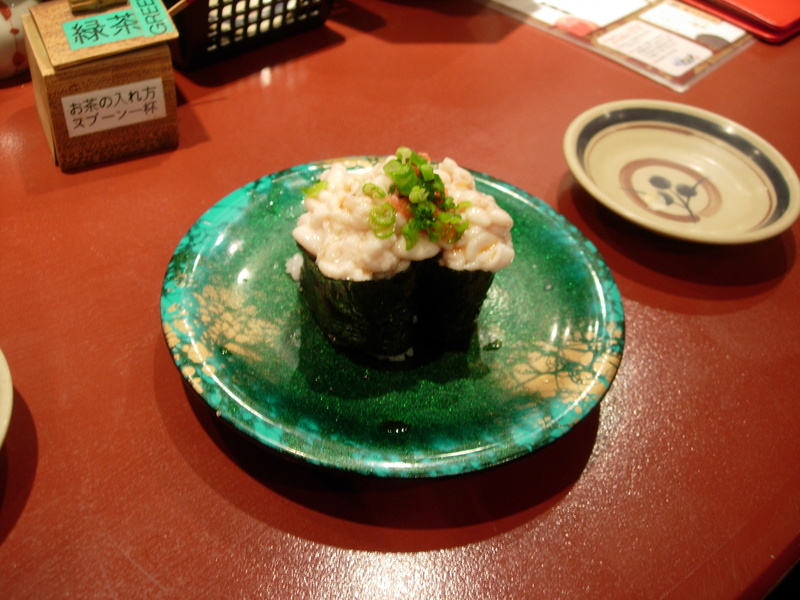 I love the results of my ceramic rice cooker. 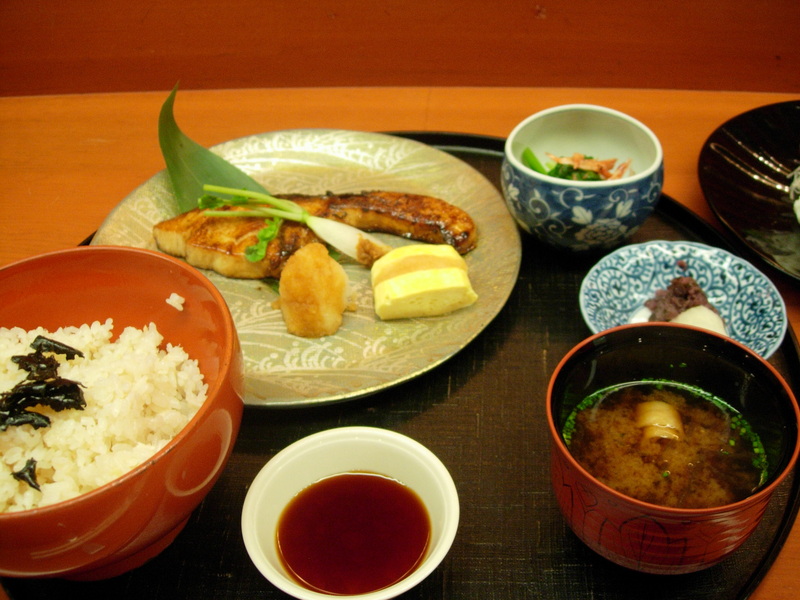 The aroma of the rice is better than rice cooked in electric rice cookers. 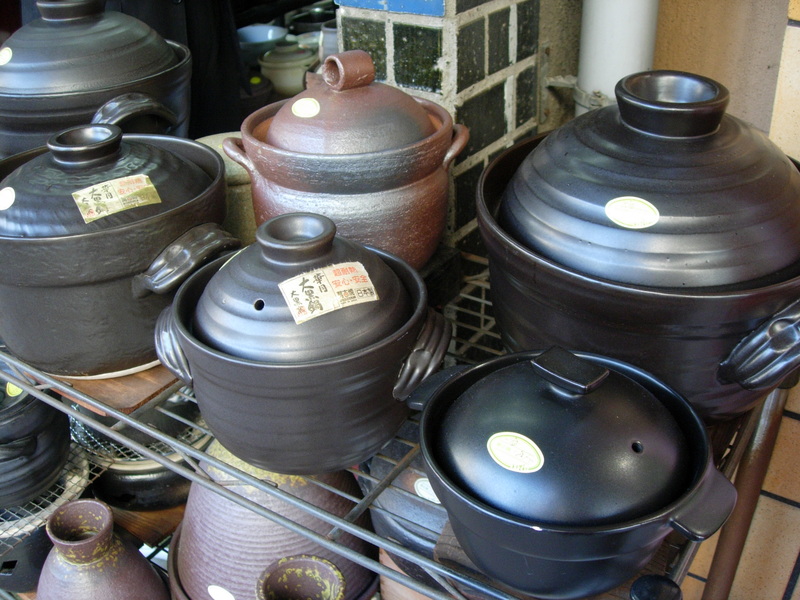 And, the best part is that if cooked properly, there is a lovely “okoge” or charred crust that develops on the bottom of each pot. Before you purchase ask about the sizes. The smallest ones cook two cups of rice which is good for one or two people, but if you are cooking for a larger group you will want to invest in a larger size pot. 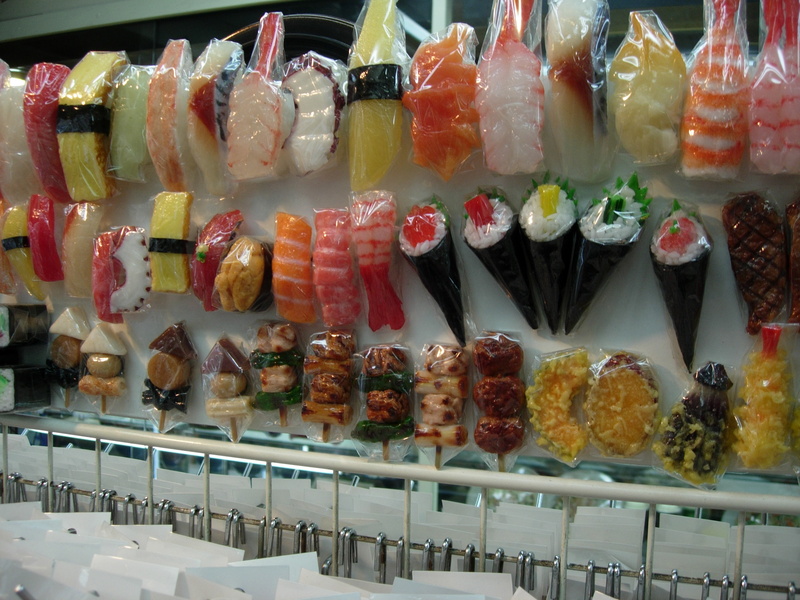 These lovely chopstick rests (hashioki) brighten up any table. Sizes and shapes run the spectrum. 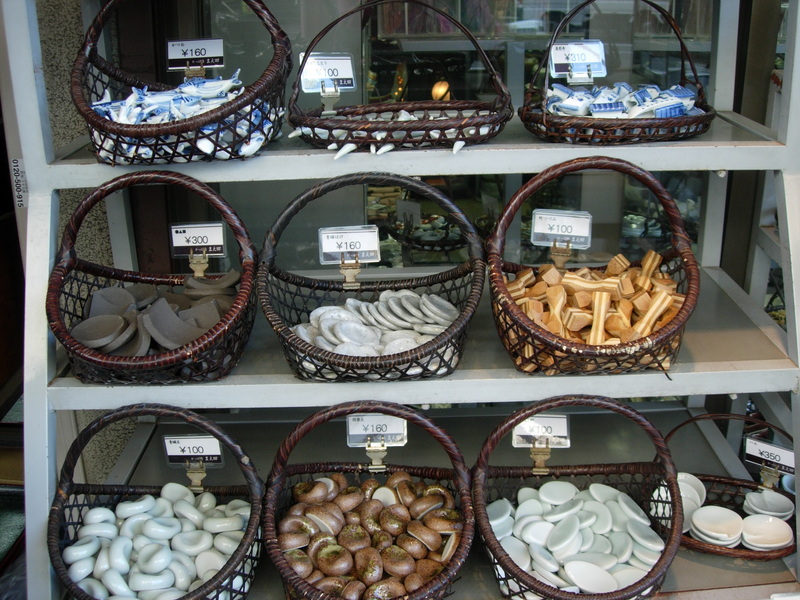 Best of all, there are seasonal varieties which keep me coming back to see what I can add to my collection. 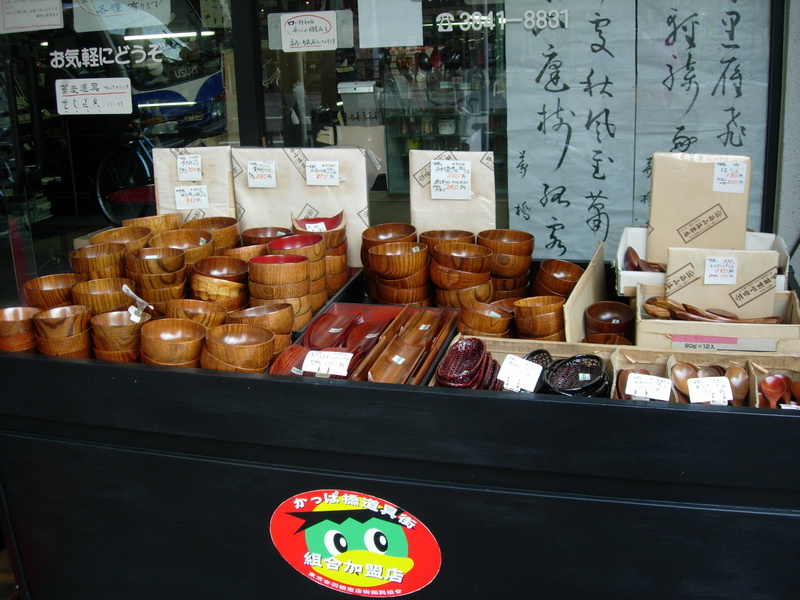 Lacquer shop including miso soup bowls, chopsticks and more as well as a nice selection of wooden products including manaita, wooden cutting boards that are very gentle on knives, steamers, and otoshibuta (drop lids) that are essential in any Japanese kitchen. 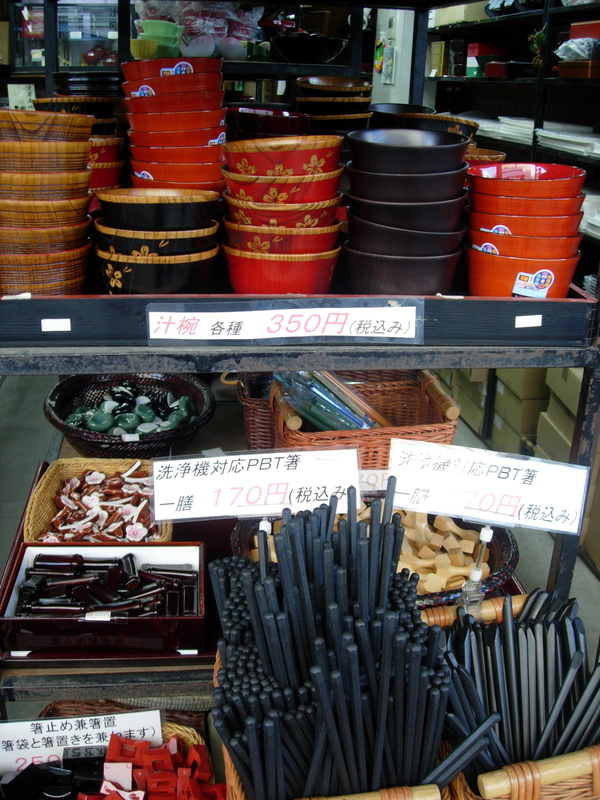 Nishiyama in Kappabashi has a wide array of lacquer dishes as well as affordable vessels for daily use. These red and black bowls in the left box are advertised as something that you can put in the microwave. 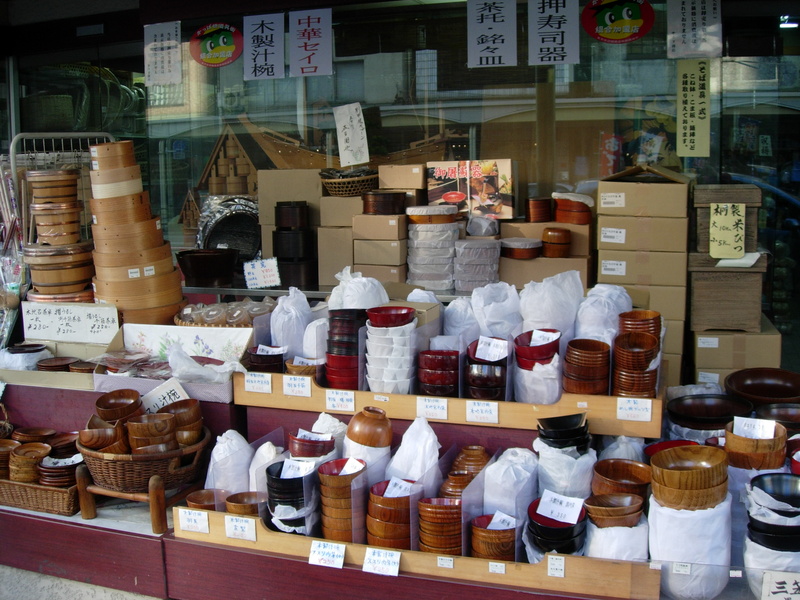 These wooden bowls are good for miso soup, but also great for ice cream. 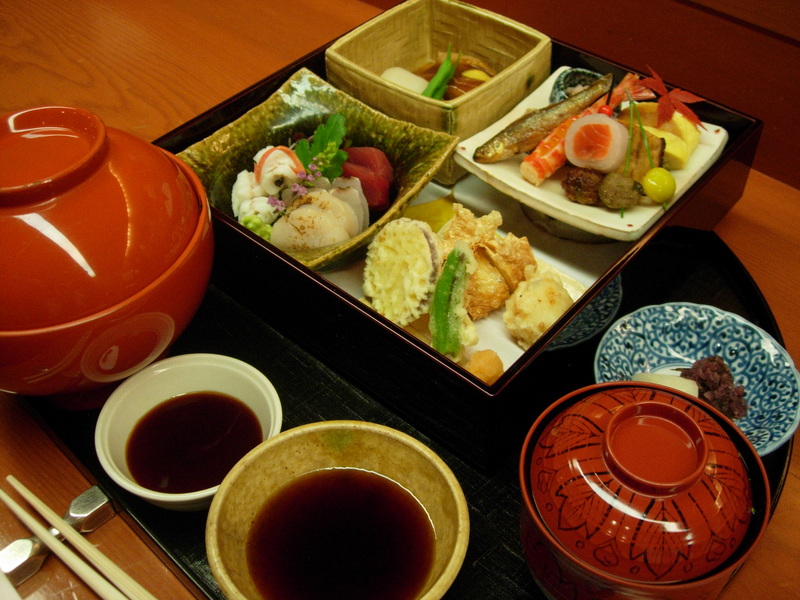 Nishiyama also has a selection of bento boxes, trays, and much more.